FHA/VA loans welcomed! True ranch, all brick and recently updated throughout, all done within last 3 years. 3 bed, 1 spacious bath located in Worth. Home has been remodeled, including recessed lighting, beautiful light fixtures, crown molding, white doors and trim, stunning hardwood flooring, newer windows and renewed over sized backyard deck. Kitchen has also been given a makeover to include mocha glazed cream colored cabinets accented by granite counters, mosaic back splash and all stainless steel appliances. Elegant bathroom with dark vanity with matching mirror and bronze fixtures. Spacious bedrooms with good closet space. Fully fenced in backyard. Attached garage with additional parking on concrete driveway. Conveniently located close to transportation, parks, shopping and restaurants. A true gem with nothing to do but move in and enjoy your summer. This home will make you an instant proud homeowner. Schedule showing today! This Worth, Illinois Detached Single is located at 11450 South Natchez Avenue in and has 3 bedrooms, 1 full & 0 half bathrooms with approx 1,125 square feet and a Full Unfinished Basement. It has been listed For Sale on Blue Fence for 10 days and is currently Active on the Multiple Listing Service (MLS#: 10344630) with a list price of $ 219,900 or a price per sqft of $ 195. 11450 South Natchez Avenue is located within the Worth City Limits, 60482 zip code and in Cook County Illinois. The Detached Single property was built in 1958 with a lot size of Less Than .25 Acre and has Garage,Space/s with 4 Spaces. School age children living at 11450 South Natchez Avenue would go to Elementary School at Worth Elementary School (District 127), Middle School at Worth Junior High School (District 127) and High School at A B Shepard High School (campus (District 218). Do you have questions about 11450 South Natchez Avenue in Worth? Learn more about this property and other Worth real estate for sale by contacting the best high selling real estate agents REALTORS® with awarding winning Blue Fence Real Estate. Simply request more information from a top rated Blue Fence REALTOR® or browse all of the most updated listings of Worth Homes For Sale. I was searching on Blue Fence and found this listing. 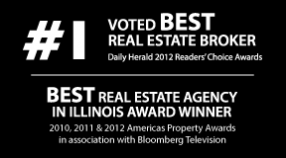 Please send me more information about 11450 South Natchez Avenue, Worth, Illinois 60482. Thank you.